Lighthouse is famous for re-defining particle counting when we launched our first products. Now the ApexZ3 is doing it again with features such as a handle with integrated status lights, an app for remote control and configuration, integrated WiFi and Bluetooth, 11-hour battery life with hot-swappable smart batteries, and a true multi-touch enabled display. The ApexZ3 is designed to be integrated into your environmental monitoring program. With the ability to wirelessly send data to your computer or server, the ApexZ3 can be used as a wireless real time sensor. Rooms and custom sample recipes can help to automate and simplify your monitoring routine. 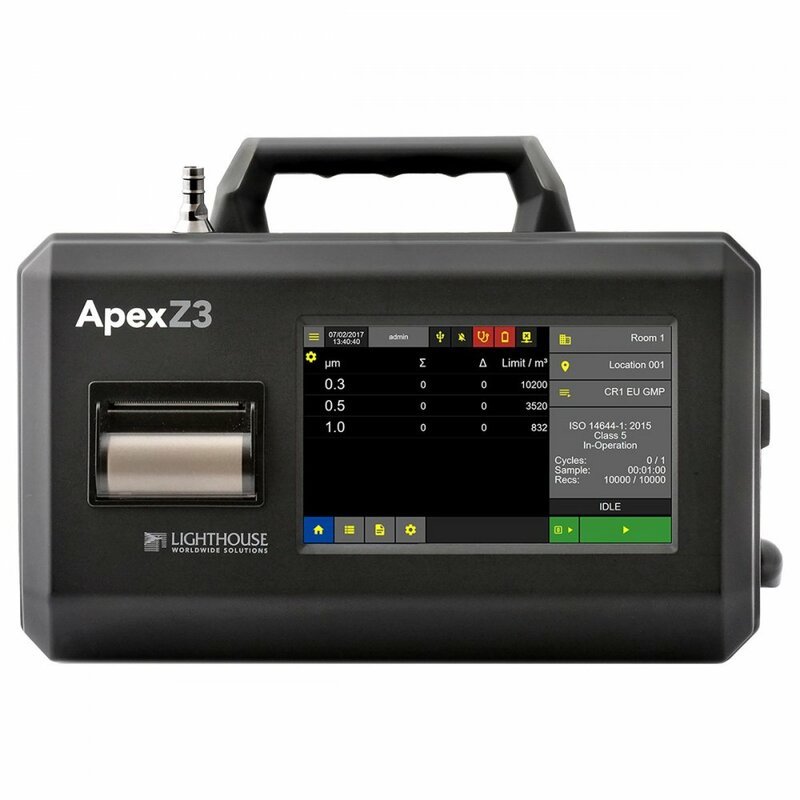 The ApexZ3 gives you various user and security levels, audit trails, and data tags that allow you to record things like batch and lot information, room status, or any other information you want associated with your particle counts. For large scale production facilities, we even offer custom integration and automation solutions.